In a new effort to pinpoint how racism is experienced within Cambridge, sociological researchers have created a web-based platform for members of the University community to anonymously record and report incidents of racial harassment and discrimination. The project, ‘End Everyday Racism’, has been created by a team at the University’s Department of Sociology, and is to be officially launched next Friday. 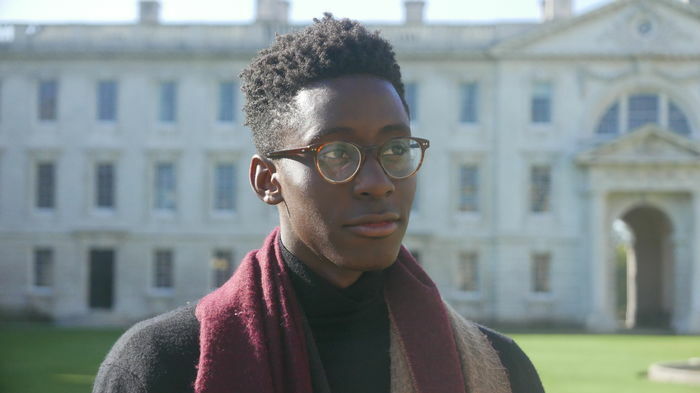 The platform is to create and monitor a data set which can be used to demonstrate how racism is experienced at Cambridge, aiming to provide both numerical and qualitative data on experiences in the University. Existing processes for reporting incidents of racial harassment and profiling have come under recent scrutiny across the University. On Wednesday, King’s College acknowledged that its existing processes for reporting complaints of racism to the college “need modification and substantial improvement”, marking a sharp reversal from its statement in June that the College had found “no wrongdoing” of racial harassment by porters toward Churchill academic Dr Priyamvada Gopal. The College said that it will work with students and minority officers to develop “clear and simpler means of reporting incidents” of racial profiling, four months after Dr Gopal began a boycott of supervising King’s students, following what she counted as 13 incidents of being racially profiled by college porters and gatekeepers during her 17-year tenure at the University. Following the College's statement, Dr Gopal said she would halt her boycott of supervising students at the college. Dr Moreno Figueroa is one of the University’s Race Equality Champions and has conducted research into the lived experience of race and racism. Although the University does technically have a process for the anonymous reporting of incidents of harassment, the Office of Student Conduct, Complaints and Appeals (OSCCA), Dr Figueroa noticed that it was mainly used to report incidents on sexual assault and misconduct, and wanted a platform that could be used to focus on capturing more nuance how racism is experienced across the University. ‘End Everyday Racism’ is a collaboration with The Whistle Project, a research project led by Dr Ella McPherson which has developed an automated tool designed to verify digital evidence. ‘End Everyday Racism’ will use similar technology to collect and analyse data on incidents of racism as The Whistle, an app in its pilot stage which facilitates the reporting and verification of human rights violations around the world. Dr McPherson identifies a clear common purpose between the two projects: “The big data problem is that there are potentially tons of stuff out there if people were to look on Twitter, Facebook and social media platforms elsewhere – but how do you get that together and do something with it? Last week, Clare second-year student Oliver Moodie spoke to Varsity about being attacked with racial abuse at the Cambridge nightclub Vinyl. Commenting on Moodie’s experience, CUSU BME Campaign said that many BME students have remained silent on their experiences of racial abuse, where “the way racist harassment and abuse is always underplayed or reactions to it [are seen] as ‘overreactions’ has meant that many BME students are hesitant to escalate matters”. The ‘Everyday Racism’ team hope that the platform can be used to record general trends in experiences of racism that would not usually be recorded for fear of being too minor or difficult to capture. They have said that they encourage “any and all” incidents of racism: Individual experiences in classrooms, colleges and on the street, but also less concrete experiences, such as issues of racism in structure, access and atmosphere of the University. In order to encourage as many contributions as possible, and because the project is intended for advocacy rather than to pursue specific cases, the platform’s system of reporting will be anonymous. Dr McPherson argues, however, that anonymity would not compromise the app’s legitimacy. She noted that those using the platform will be required to input their University of Cambridge email to ensure that it will only be used by people from the Cambridge community, noting that the emails would not be recorded or viewed by those reading reports. The ‘End Everyday Racism’ team were also clear that the platform is not just for BME students. They plan to also encourage those who have witnessed acts of racism or who wish to report on behalf of a friend to use the platform, and to seek out reports from University and college staff. The team hope that the data gathered can be used to inform antiracist advocacy in the University: whilst the project is to an extent a research project, Dr Moreno Figueroa emphasised that it was also an “antiracist intervention”. FLY were consulted about the questions asked on the web platform, as well as its layout and general accessibility. The Cambridge branch of the University and College Union (UCU) and the Black Cantabs Research Society have also supported the program’s launch. Cambridge UCU Secretary Dr Waseem Yaqoob praised ’End Everyday Racism, saying: “The platform will be a first in providing an accessible way for BME staff and students to report racist incidents in a confidential manner”, where “currently many incidents and micro-aggressions go unrecorded, because the burden of pursuing a formal complaint through University procedures rarely seems worth it”. “[It] will address the lack of visibility of racist incidents”, he added. After the initial launch of the platform, the team will publish a report on the data collected within 2-4 weeks. They also hope to create a map of Cambridge where incidents have been reported. Moreno Figueroa suggested that, if successful, the platform could be introduced at universities across the UK, and in Brazil, Mexico, Ecuador, and Colombia, where she has research links.